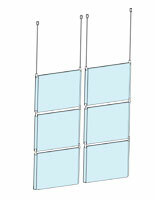 How does this 11 x 17 hanging hardware help retailers in their storefronts? 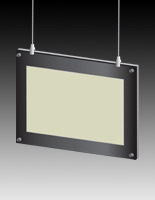 This supports system provides top quality LED lighting with backlit signage panels that are energy efficient, and extremely bright with the right light! 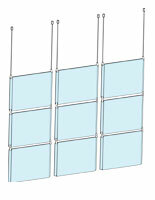 These wall display systems are a great way to highlight menus in a restaurant, promotional posters at the convention hall, and photos in a gallery or retail store - the unit anchors upscale décor! 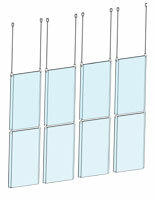 The cable suspension allows units to be placed securely, just about anywhere! 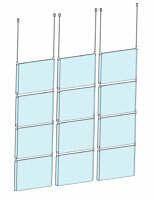 Installation of graphics is easy between the acrylic panel and overlay, which makes for a low profile holder for visuals. 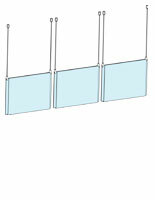 This 11 x 17 hanging hardware, also known as wall display systems, provides environmentally friendly lighting that keeps the budget down, and the carbon footprint low. 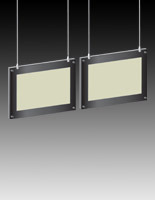 The contemporary design and finish on these fixtures is silver aluminum with a black border, which deflects lighting to create a “glow” appearance that is super eye-catching especially in upscale environments. 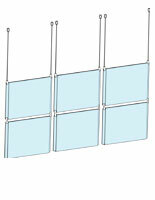 Supports for this 11 x 17 hanging hardware include panel grippers, and 16’ long stainless steel cable wire to suspend units from the ceiling while keeping these wall display systems secure. 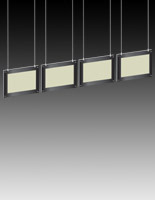 Place these wall and ceiling fixture units using sturdy wire in retail stores, above walkways, in restaurants, cafes, museums, universities, or galleries and create unforgettable visuals. 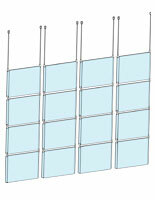 What types of wall display systems are available at this website? 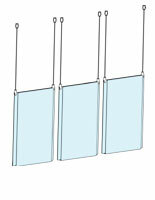 Quality hanging hardware offers tons of styles and layouts for store use. 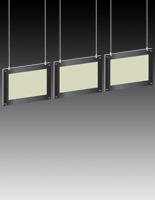 Single-graphic, dual- graphic, tri-graphic LED panels with a myriad of column and matrix configurations. 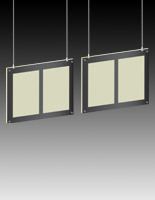 Single, double, and triple illuminated light boxes with a myriad of column and matrix configurations. 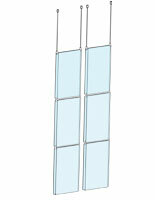 Plain Frames with 1-4 columns. 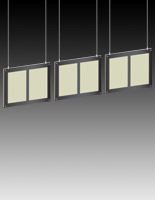 Update products or reinforce brand messaging by installing 11 x 17 hanging hardware supports that house a poster printed on a translucent backer that the lighting will shine through! 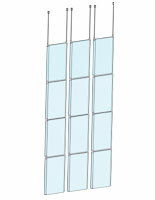 Available here are portrait and landscape options. 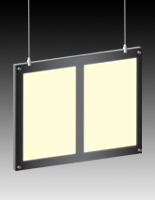 These window lightboxes are lightweight and provide truly memorable ambiance while the system anchors your décor! 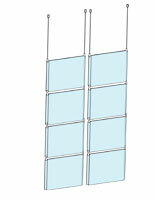 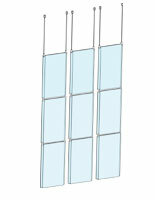 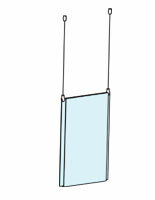 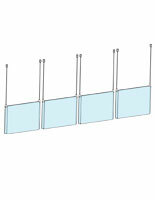 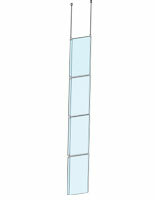 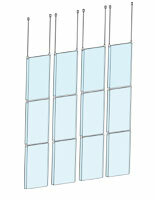 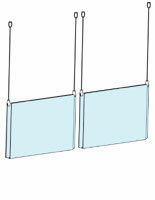 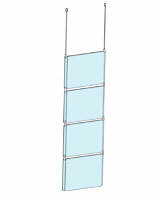 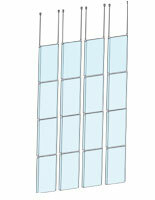 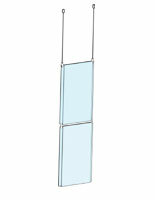 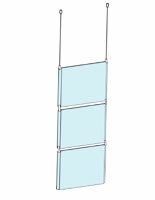 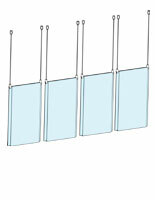 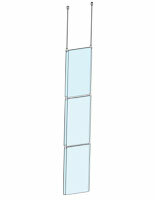 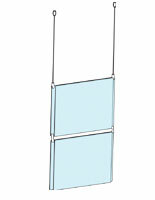 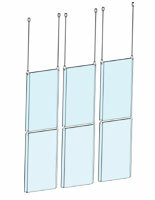 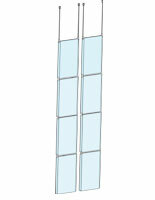 Dual grippers will hold acrylic panels in the matrices of this hanging hardware, securely. 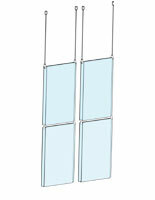 Using stainless steel wire, place in the window of a boutique, foyer of an art gallery, or entryway of a hotel or high end restaurant for maximal effect. 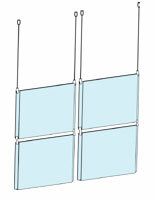 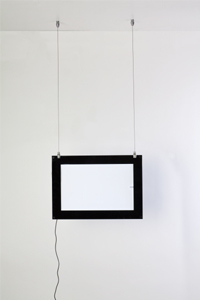 Double-sided displays images on both sides - just hang two units back to back for a design that works coming and going! 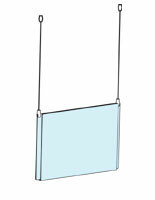 The stainless wire won’t fray, which means it will save you money in the budget when purchasing hanging hardware for ceiling and wall. 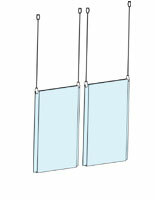 Buy quality 11 x 17 hanging hardware supports at the best prices online! 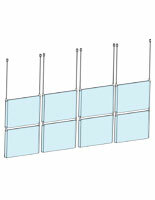 Whether a decorator wants to design a brand new showroom or office, or update an older one, these top-quality, super-modern sign supplies with stainless steel wire supports are sure to up the style ante instantly! 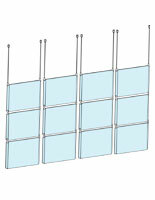 Order from Signstandoffs.com by 2 p.m. for same-day shipping for most in stock items!